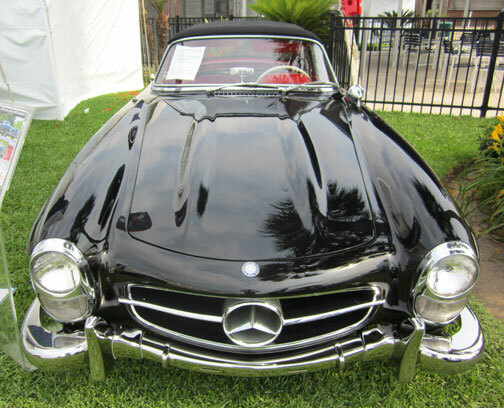 This ’61 300SL roadster is on display at the Keels and Wheels concours d’Elegance at the Seabrook Yacht Club in Seabrook, TX this weekend. It was brought to the show for display by Drivers Source of Houston, a classic and collector car dealer. The car looks to have been restored fairly recently but moderate wear leads on to believe that it has travelled some miles since the restoration. 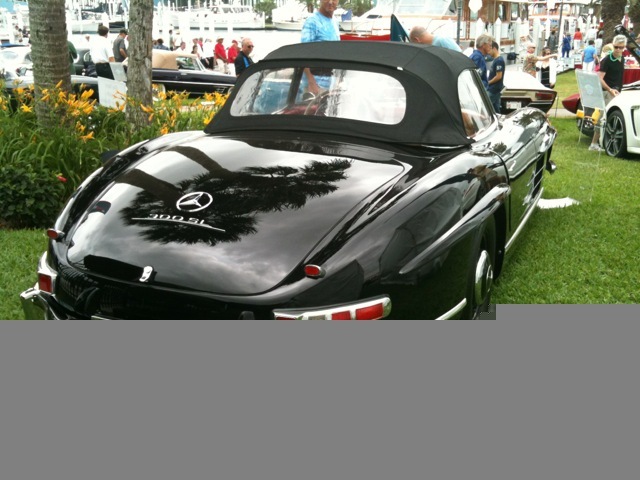 An original detachable hard top is included with the car. It has apprise card in the window asking $619,000. While the 300SL market is hot and all 300SLs are moving up in value, without Rudge wheels, luggage or some other options to make it extra desirable 619,000 seems a bit strong to me. Unless a full and comprehensive inspection found something exceptionally good or exceptionally bad inside or underneath I would think this is a $550,000 – $575,000 car. It looks great in the black / red color combo.